Good news! It’s the 101st International Women’s Day, and there are many ways to celebrate. You can attend the City of Vancouver’s Remarkable Women event this evening, or the Women in Film Festival that starts today, and many others. Bad news — last week the Metro Vancouver Homelessness Count released their final numbers, and while the overall numbers didn’t change, the female share of the homeless population increased. In the 2005 count, one in four counted was female but in 2011 it was nearly one in three. And the number of homeless families counted increased; 56 homeless families with 54 children were found, the highest number of families ever recorded in a Count, the majority of these families led by single mothers. Good news! In only a few short months we’ll be breaking ground for our newest and biggest building, the Budzey Building (named after Lorna Budzey). 147 units! And the best part? All the units are for women! 101 units will be studio suites for women on their own, and 46 units will be two and three bedroom units for single mother led families. We’re really excited about this, as both the building and the women and families living there will have a positively huge (and hugely positive) impact on the Downtown Eastside. 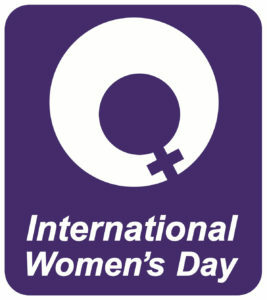 What good news will you celebrate on International Women’s Day?